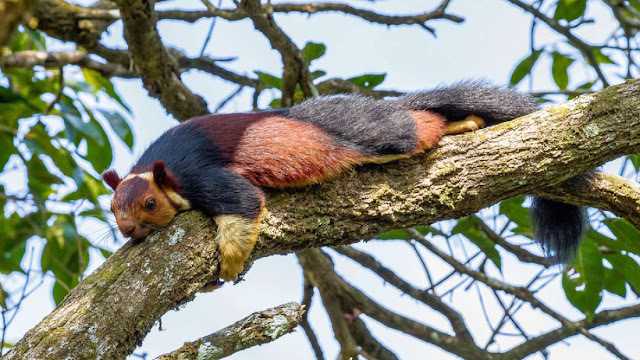 The Malabar giant squirrel (Ratufa indica) is the peacock of the rodent family. Unlike its "Plain Jane" cousin the Eastern gray squirrel (Sciurus carolinensis), the flamboyant critter sports a technicolor coat containing a mix of burgundy, rust, ochre, and even hues of maroon and purple. Now, thanks to an extraordinary series of photos captured by amateur photographer Kaushik Vijayan, the Internet is getting the chance to admire the Malabar's coat in all its fine glory. "Up until that point I had never heard about a squirrel like that or seen one," said Vijayan, The Independentreports. "The sight was an absolute feast for my eyes. The squirrels fascinated me and I got excited to capture this beauty on my camera." Vijayan discovered his muse during a trip to the Pathanamthitta District in southwestern India. He later posted the photos on Instagram to share with the world. Incredible #pictures of giant multi-coloured squirrels set #social media alight!#Photographer Kaushik Vijayan snapped the animals in their native habit. The Malabar Giant #squirrel - double the size of their grey relatives - live deep in the #forests of #India. The Malabar giant squirrel, also called shekru, is a species of squirrel endemic to India. While this particular beauty appears to don blue and red-purple tinged fur, colors like beige, brown, and rust are much more common. It is possible that like a peacock, the coloring is designed for a potential mate's benefit. It is also possible that is intended to act as camouflage in the sun-dappled canopy. That makes them longer than your average domestic cat. Malabar giant squirrels are, native to India, are twice as large as your standard eastern grey squirrel, with bodies that span 3 feet, or 90 centimeters, from head to tail. They’re also gorgeously technicolored, with fur that ranges from brown and orange to maroon and purple. It is no surprise, then, that Maharashtra chose to make these Pokémon-esque creatures its state animal. 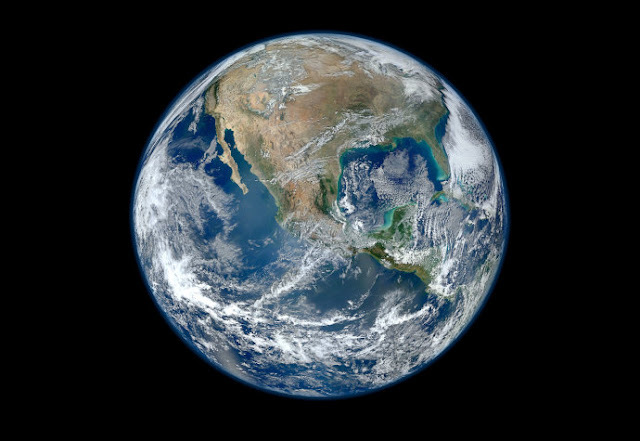 "I felt so amazed by how drop-dead gorgeous it looked," Vijayan told CBS News. "It was indeed a jaw-dropping sight to behold."